Adelaide Fringe’s celebrations start in the late afternoon on Friday 15 February with the opening of the night markets and performances at Karrawirra Parri, River Torrens, near the University of Adelaide footbridge. At 8:15pm, Senior Kaurna Custodian of Ceremony Karl Telfer will again lead Tindo Utpurndee, the Sunset Ceremony. Yabarra. “In the reflection of the shining, shimmering waters, there are the ripples of many generations which speak to the vibrancy of a time gone, but a time present and a time not forgotten upon these plains,” states Telfer. Native animals and traditional stories are brought to life through light projections on the trees, buildings and on water screens surrounding the bend in Karrawirra Parri. This is in recognition of the First Nations people, their culture and their deep spiritual connection with the natural land. Yabarra will come to life at the conclusion of Tindo Utpurndee, and will continue every night throughout the Fringe season. To officially open Adelaide Festival, Elder Park will once again host a free concert, this year created in collaboration with National Geographic. Symphony for Our World is a beautiful display of the wonders and challenges of the natural world. Footage from the vaults of the publication have been crafted into a 90 minute film and synchronised to a five movement orchestral epic of music. Each movement is linked to a natural environment: Seas, Shore, Land, Mountains and Sky. The sweeping melodies and harmonies of the musical work echoes the power, grace and beauty of the images on screen. 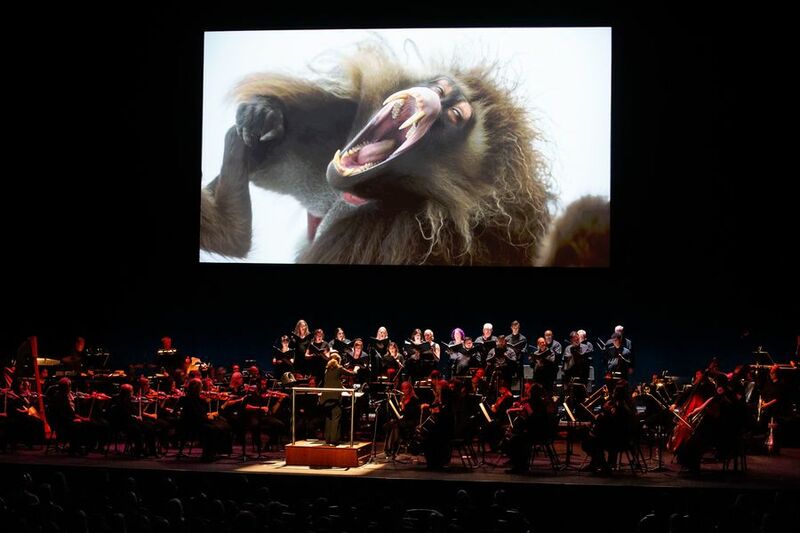 Composed by Bleeding Fingers Music, co-founded by cinematic music powerhouse Hans Zimmer, it will be performed by the Adelaide Festival Orchestra conducted by Jessica Gethin. The orchestra is accompanied by a capella group Aurora and the Festival Statesmen Chorus, promising a visual and aural spectacular.